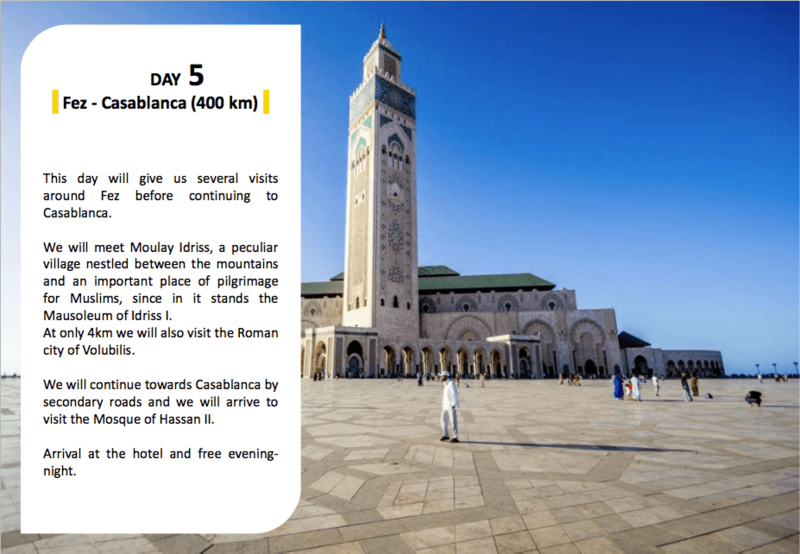 For 7 days we will visit the main cities of Morocco, we will delight ourselves with its gastronomy and we will cross spectacular roads crossing its rural areas. 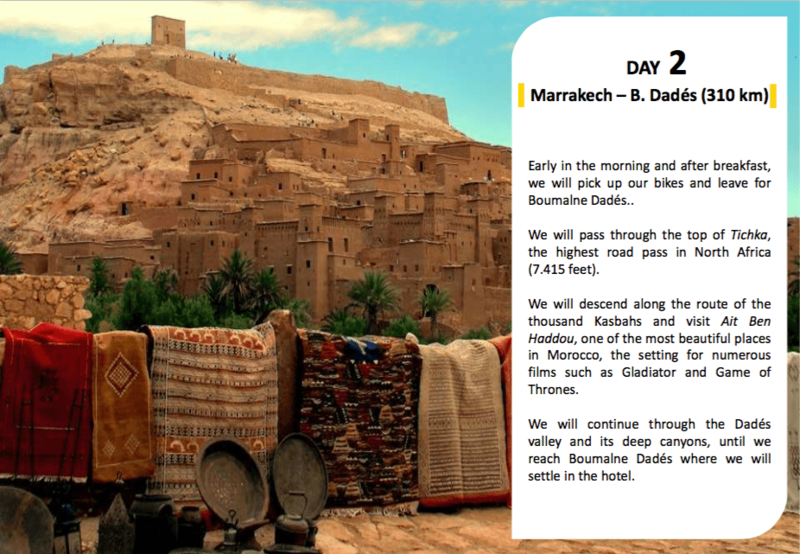 Traveling to Morocco is always and adventure, but driving through it on a motorcycle is even more so! This country offers us the most exciting and entertaining mountainous roads, with thousands of bends to satisfy our most highest motorcycling expectations. 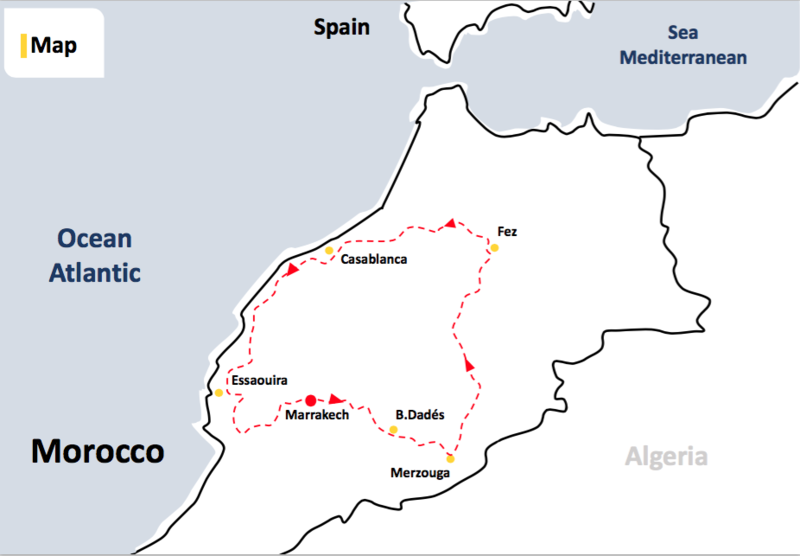 In our expedition, we will visit the famous sites in Morocco, where we will enjoy spectacular routes, landscapes and gastronomy. Each day, when the sun goes down, a fabulous and comfortable hotel will await us, where we will be able to relax and rest until the next day. 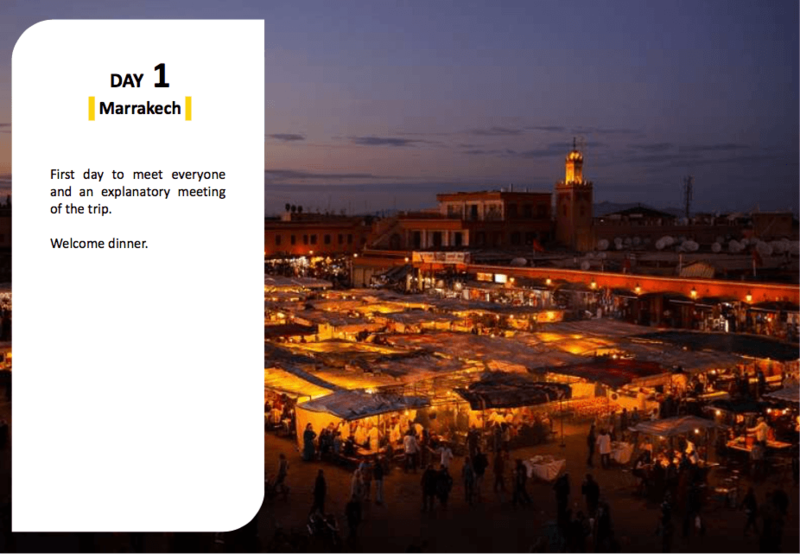 If you still don ́t know Morocco, this is your opportunity! 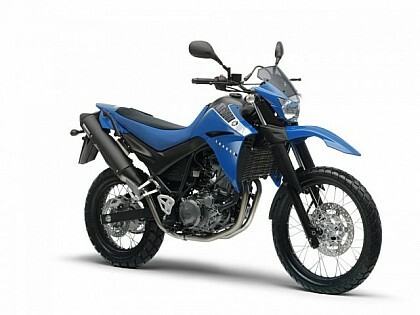 – Yamaha XT 660, equipped with topcase. 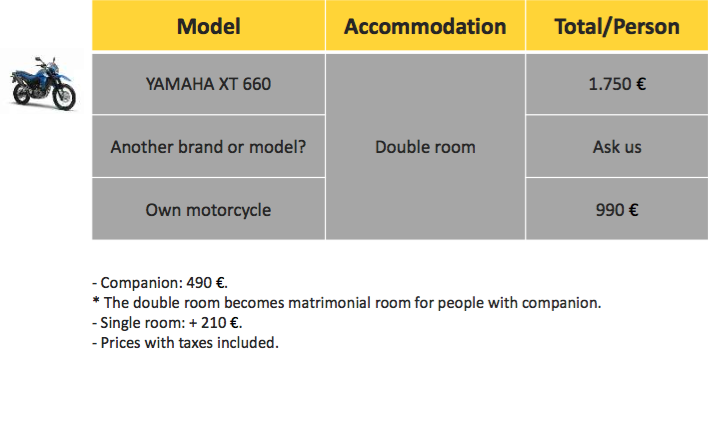 – Insurance for third parties motorcycles. 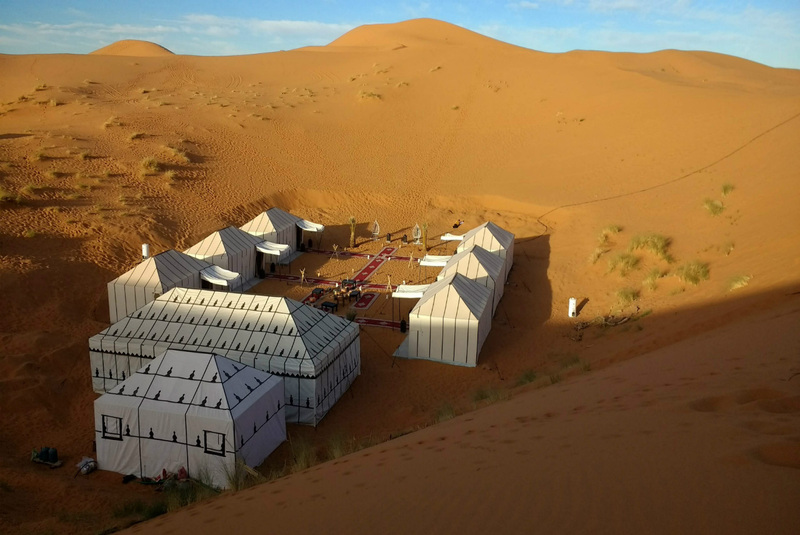 – Night in Jaima in the desert + dinner included + Bereber show. 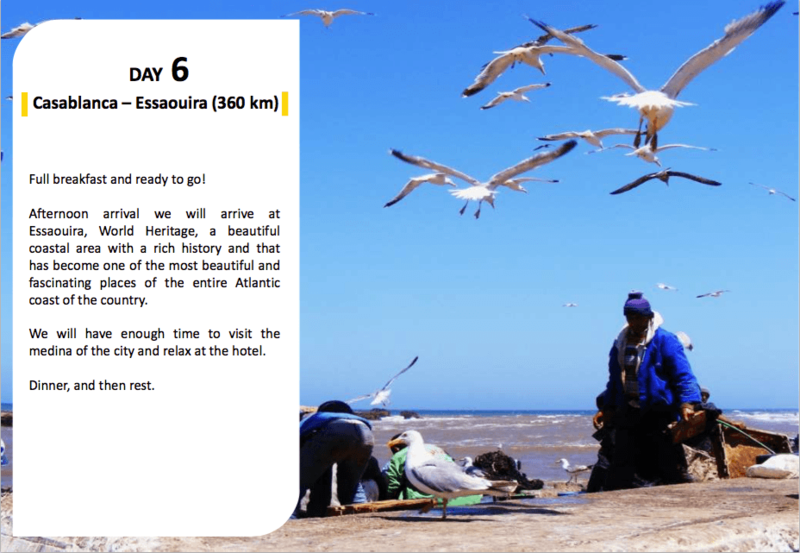 – Guide in his own motorcycle during the whole trip (availability 24h a day). 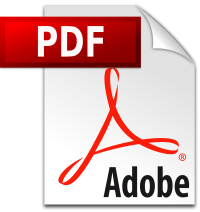 – Support van + local guide. – Drinks, snacks and fruits during the day. * Current passport valid for over 6 months needed to be able to enter Morocco. 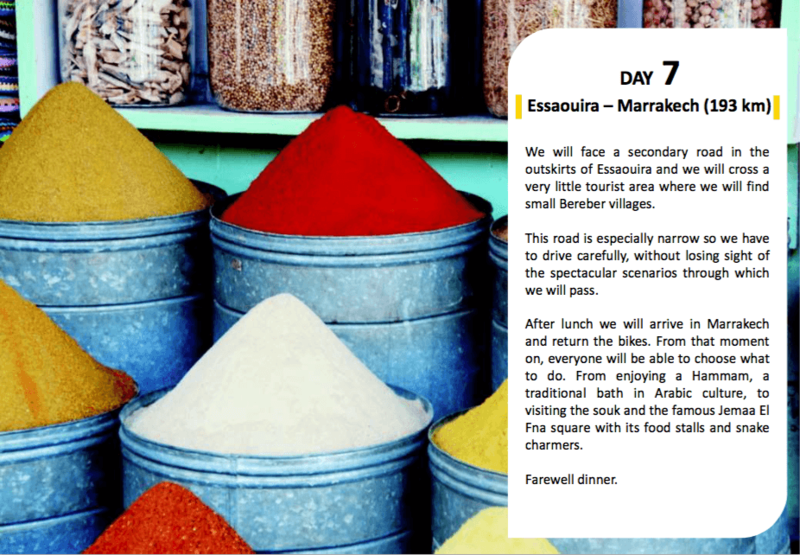 Day 2: Marrakech – Boumalne Dadés.